« Wolf spikers pile up stats!! The goals are rattling home at a record pace. 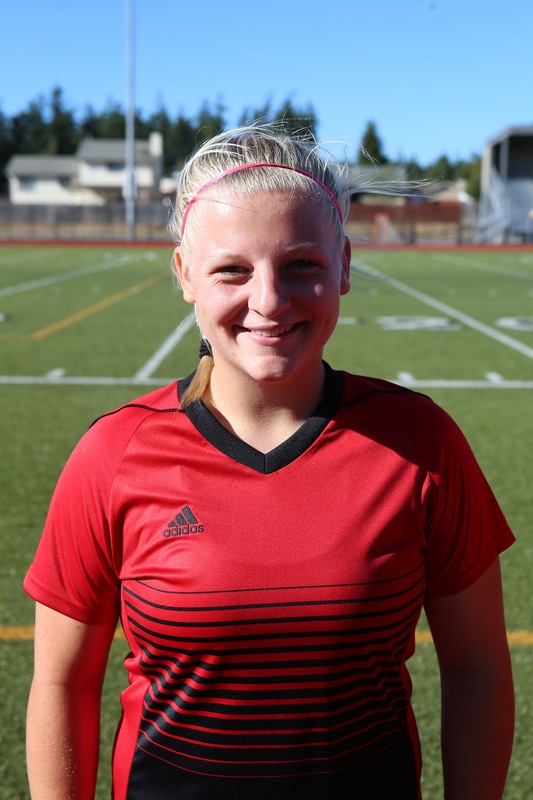 Coupeville High School’s girls soccer squad has placed the ball in the back of the net, sometimes with a little help from its rivals, 29 times through the first seven games this season. The Wolves haven’t reached the halfway point of the regular season yet — that comes Tuesday against Klahowya — but have already topped their offensive output from six of the past eight seasons. Coupeville’s goal-scoring renaissance can be directly linked to the arrival of Mia Littlejohn and Sage Renninger in 2014, followed by the addition of Kalia Littlejohn and Lindsey Roberts a year later. The record-setting 2016 season was sparked by Mia Littlejohn racking up a school single-season record 27 goals. This year, with her big sister having moved on, Kalia Littlejohn is on pace to both break Mia’s single season and career marks. The junior sharpshooter has 13 goals in 2017, and 31 for her career (just four off Mia’s record). After that comes Abraham Leyva, who tallied 45 career goals for the Wolf boys. But wait, that’s 27 goals, not 29, you say. There’s a simple explanation for that — Sage Renninger scares people. And yes, Sage rightfully got assists on both plays for forcing the situation.